Current procedures for faculty personnel actions are described in Article VII of the Faculty Bylaws. (See Section II of this Handbook.) The information that follows relating to faculty personnel actions comments upon the Bylaws and describes local practice. Recruitment is carried out under the direction of the president, though it is normally initiated within an academic unit. So far as is possible, prospective faculty members are brought to the campus, where they are interviewed by as many members of the faculty, particularly senior members in the candidate's area and in related area, as is feasible. Article VII. Title E.1.b. of the Faculty Bylaws requires that initial appointments to the rank of associate or full professor, and any appointments with tenure, be submitted to the president by the Initiating Personnel Committee, the chair, and/or the dean or director. In cases of non-concurrence or requests for consultation by any of these parties, the appropriate University Personnel Committee shall review the case and submit a formal report and recommendation to the president. Article VII. Title E.1.a of the Faculty Bylaws requires that the manner in which each academic subdivision handles appointments below the rank of associate professor, all visiting appointments, and changes from a qualified (non tenure/tenure-track position such as a clinical or research appointment) to an unqualified (tenure/tenure-track) title, shall be specified in its Bylaws. Recommendations from academic subdivisions shall be submitted to the president through the dean or director. An important part of the recruitment procedure concerns equal employment opportunity for women, minority group members, and disabled individuals. See the various Guidelines in Section III above, and Management Procedure 604 of the University's Management Procedures, which can be found online at http://www.binghamton.edu/operations/policies/personnel-and-payroll/recruitment-academic-employees.html. It is the University's policy to verify the academic credentials claimed by a prospective faculty member. This verification occurs at the level of search committee or department prior to extending an offer of employment. In the event the verification does not support the claim, any offer of employment to the individual will be withdrawn, or, when necessary, the individual's appointment at the institution will be terminated. Except as provided in Article XI, Title D, Section 6 of the Policies of the Board of Trustees, which can be found online at http://www.suny.edu/about/leadership/board-of-trustees/, a term appointment is an appointment for a specified period, but not more than three years, which automatically expires at the end of that period unless ended earlier because of resignation, retirement, or termination. An initial tenure-track appointment will ordinarily be for three years. For further information concerning "Eligibility," "Method of Appointment," "Renewal of Term," and "Notice," refer to Sections 2 through 5 of Title D of Article XI of the Policies. The normal pre-tenure appointment pattern will be two three-year terms as assistant professor, with substantive reviews in years 3 and 6, followed by promotion and the award of tenure at the beginning of year 7. The unit's Initiating Personnel Committee will conduct these substantive reviews of the cumulative record of teaching, research, and service in accordance with the Faculty By-Laws. If the review in year 3 discloses that the candidate is not making and is unlikely to make satisfactory progress, a one-year terminal appointment will be given for year 4, rather than a second three-year appointment. If the review in year 6 leads to a negative decision on tenure, the candidate will receive a one-year terminal appointment for year 7. All notifications of non-renewal must be made in accordance with Article XI, Title D. 5. of the Policies of the Board of Trustees and the UUP Agreement. If the ongoing review processes of an academic unit indicate that a review schedule other than that outlined above is more appropriate for a particular candidate's circumstances, the unit may make such recommendations accordingly through the dean and the executive vice president for academic affairs and provost. Under normal circumstances, this sequence allows a junior untenured faculty member two years following initial appointment to establish a research program, to demonstrate teaching ability, and to perform an appropriate amount of University service before a substantive review takes place. It also provides time for direction and mentoring by senior colleagues as the faculty member progresses toward the tenure decision. It is expected that these faculty members will be informally reviewed within their academic units annually, and that they will be kept informed of the results of those reviews. A tenure decision is of major consequence, representing the commitment of a faculty line for the balance of the candidate's career. Tenure is rarely given below the associate professor level, and all recommendations for tenure are carefully reviewed in the light of "both standards of individual professional competence and the needs and resources of the University." (See Policy Handbook, State University of New York, "Statement on Tenure," December, 1982) The evaluation considers the candidate's professional record in terms of the programmatic needs of the University and arrives at an estimation of the candidate's potential for future accomplishment. Article XII, Titles A and B of the Policies of the Board of Trustees enumerate the qualities sought in a faculty member. They provide the criteria used at Binghamton in evaluating candidates for promotion and tenure. Mastery of subject matter--as demonstrated by such things as advanced degrees, licenses, honors, awards and reputation in the subject matter field. It is standard practice to employ peer evaluation in order to support a candidate's reputation in his or her subject area. Therefore, in cases involving tenure and promotion, the administration expects four or more external letters of evaluation, as appropriate to the rank under consideration, from scholars with academic rank equivalent to or higher than that of the candidate, and with recognized competence in the candidate's field of specialization. While the candidate should be asked to identify potential evaluators, the Initiating Personnel Committee must go beyond those writers in seeking evaluations. Effectiveness in teaching--as demonstrated by such things as judgment of colleagues, development of teaching materials or new courses and student reaction, as determined from surveys, interviews and classroom observation. High quality in teaching as well as high quality in research is of fundamental importance to considerations for advancement. While instructional modes vary widely among the disciplines, some representative sources of information are listed below. all other evidence amassed by department chairs/program directors that bears on teaching performance, including materials from unit student advisory committees. Scholarly ability--as demonstrated by such things as success in developing and carrying out significant research work in the subject matter field, contribution to the arts, publications and reputation among colleagues. Scholarship or other creative contributions are essential for promotion, especially to a position with tenure. For most fields, publication of refereed papers in professional journals of high repute is a clear sign of scholarly activity. Scholarly books released through recognized publishers, either academic or commercial, are another sign, as are artistic presentations such as juried shows and critically reviewed performances. Effectiveness of University service--as demonstrated by such things as college and University public service, committee work, administrative work and work with students or community in addition to formal teacher-student relationships. As the most influential group on campus, faculty have an obligation to participate in the functioning of the campus, and particularly in campus governance. Faculty service may also be directed toward professional organizations and toward the local area, the state, and the nation. Service contributions should reflect the experience and talents of the faculty member, and will often be more apparent as the faculty member becomes more senior. Continuing growth--as demonstrated by such things as reading, research or other activities to keep abreast of current developments in the academic employee's fields and being able to handle successfully increased responsibility. In order to pursue new knowledge and present it to students and colleagues, a faculty member must stay current in the field of scholarship. For untenured faculty, evidence should show sustained intellectual growth that reflects progress toward the achievement of tenure. For tenured faculty, evidence of continued mastery of the subject area is expected. The evaluation of a candidate must take into account the contributions the individual may be making to interdisciplinary fields of study. When there is such a scholarly affiliation, evaluators must invite and consider materials submitted by interdisciplinary programs as evidence of the candidate's professional activities within that program. In the case of an inter-unit joint appointment, evaluators in the personnel berth unit will solicit an advisory report and recommendation from the initiating personnel committee and from the chair or program director of the other unit. The two units must also cooperate in the identification of appropriate outside evaluators and in the solicitation of their opinions. The University assumes that each faculty member will achieve tenure after the probationary period. Inevitably, however, not every faculty member will fulfill the criteria appropriate for the award of tenure. Moreover, in addition to considering the above criteria, the administration must also consider institutional priorities and programmatic needs in making personnel decisions. Procedures for submitting to the president recommendations for reappointment, promotion, tenure, and non-renewal are prescribed and described in Article VII of the Faculty Bylaws, in the UUP Agreement, and in the "Procedures for Personnel Cases," a set of guidelines prepared by the Office of the Executive Vice President for Academic Affairs and Provost in consultation with the All-University Personnel Committee which is available online at http://www.binghamton.edu/academics/provost/documents/procedures-personnel-cases-090716.doc. Employees who intend to leave the employ of the University shall give 30 days notice to the chief administrative officer or the chief administrative officer's representative. These dates are those mandated by the Policies of the Board of Trustees (Article XI, Title D. 5.) and by the Agreement between the State of New York and UUP. Established policy is to notify faculty as soon as is practicable of salary recommendations and of promotion and tenure decisions. Continuing appointment as professor, associate professor, librarian, or associate librarian may be given an initial appointment or thereafter upon recommendation of the appropriate personnel committee. The Policies of the Board of Trustees specify that reappointment at the end of three consecutive years at these ranks for those holding these titles shall be with tenure. An exception can be made in the case of a faculty member who resigns from a continuing appointment or term appointment at one unit of State University to accept a term appointment on another campus, in which case one additional term appointment of no more than three years may be given by the chancellor upon the recommendation of the president. Instructors, assistant professors, assistant librarians, and senior assistant librarians must complete seven years of full- time service in a position or positions of academic rank before they can be granted tenure in these ranks according to Article XI of the Policies of the Board of Trustees. Reappointment upon completion of such service must be on a continuing basis. Prior academic service at another accredited institution of higher education may account for up to three years of the total seven. At the time of initial appointment, a faculty member may request such credit, which is granted at the discretion of the president. Such prior academic service credit may be waived, but the waiver option does not apply to faculty transferring from another SUNY unit. If credit is granted, it may be withdrawn, in whole or in part, by written request of the faculty member within six months from the effective date of appointment. If an instructor, assistant professor, assistant librarian, or senior assistant librarian has three or fewer years of prior academic service, the individual must complete enough years in a position having academic rank to total seven, the last three of which must be consecutive years of service at this campus, before tenure can be granted. If there is no prior academic service then seven years of service here must be completed before tenure can be granted in the ranks listed. As noted above, exception can be made in the case of a faculty member who resigns from a continuing appointment or term appointment at one unit of State University to accept a term appointment on another campus, in which case one additional term appointment of no more than three years may be given. Tenure becomes effective only by action of the chancellor. It should be noted that service with the title of lecturer or with a title of academic rank preceded by designations such as "visiting" does not count toward tenure; such titles are defined as "qualified" academic rank, in accordance with Article II of the Policies. A joint appointment constitutes an appointment to a position that is in more than one academic unit. The appointee has formal and on-going teaching obligations in each unit, and the line and salary of the position are divided among the units. It is the position that is jointly assigned. A courtesy title may be granted to an individual who has an appointment to a position that is entirely within one unit, and who has formal and on-going teaching obligations only in that unit. The line and salary of the position are assigned entirely to that one unit. Courtesy titles constitute a recognition of affiliation based upon the individual's interest in another discipline. Individuals holding courtesy titles may, on a voluntary basis, participate in the teaching or research program of the other unit, but the courtesy title does not imply any obligation to do so. Courtesy titles are awarded for renewable terms of up to three years. Created by the State University Board of Trustees as a prestigious system-level distinction, the Distinguished Faculty Rank (DFR) programs recognize and reward SUNY’s finest and most accomplished faculty. The Distinguished Professorship (DP), Distinguished Service Professorship (DSP) and Distinguished Teaching Professorship (DTP) are three of the four designations that constitute this highest system tribute conferred upon SUNY instructional faculty. The other designation is Distinguished Librarian. Distinguished Faculty Rank programs encourage ongoing commitment to excellence, kindle intellectual vibrancy, elevate the standards of instruction and enrich contributions to public service. They demonstrate the State University’s pride and gratitude for the consummate professionalism, the groundbreaking scholarship, the exceptional instruction and the breadth and significance of service contributions of its faculty. Appointment constitutes a promotion to the State University’s highest academic rank, and it is conferred solely by the State University Board of Trustees. The expectation is that individuals so appointed will receive additional support, consistent with the resources of the campus. The Executive Vice President for Academic Affairs and Provost shall appoint five faculty members who hold the rank of distinguished professor to serve on the Distinguished Professor Advisory Committee. Of the five initial appointments, two shall be for three years, two for two years, and one for one year. Subsequently, all distinguished professors appointed to replace members whose term have ended will be appointed to three-year terms. Each year, the committee will select one of its members to serve as chair. Each September, the Executive Vice President for Academic Affairs and Provost shall distribute to the campus a call for nominations for promotion to the rank of distinguished professor, criteria for promotion, and a timetable for completion of nominations. Nominations shall consist of the nominee's curriculum vitae and a letter from the person making the nomination explaining how the nominee meets the criteria for promotion to the rank of distinguished professor. The Executive Vice President for Academic Affairs and Provost shall submit the nomination to the Distinguished Professor Advisory Committee for its review. If a majority agrees that the case should move forward, the chair will notify the Executive Vice President for Academic Affairs and Provost, the dean, the department chair, the department's senior personnel committee, and the person making the nomination. After consultation with the department chair, the department's senior personnel committee, and the person making the nomination, the dean will appoint a special IPC to assemble the promotion dossier. The chair of the Distinguished Professor Nominating Committee, the President's designee, and the Executive Vice President for Academic Affairs and Provost's designee will meet with the chair of the special IPC to provide guidance in assembling the dossier, which will consist of a current curriculum vitae, a substantive report detailing how the candidate meets the criteria for promotion to distinguished professor, eight letters from distinguished external reviewers, and full curriculum vitae for all external reviewers. The completed dossier will be forwarded to the dean for her/his review. The dean will complete a letter evaluating the case and forward it, along with the dossier, to the Distinguished Professor Advisory Committee. After reviewing the dossier, the Distinguished Professor Advisory Committee will forward it to the Provost with a positive recommendation, return it to the special IPC with instructions to address questions and/or concerns it may have about the case, or, if it finds the case lacking in merit, reject the case. If the Distinguished Professor Advisory Committee rejects the case, it shall inform the Provost, who will communicate to the nominee, nominator, dean, and president. A nominee whose candidacy is rejected by the committee shall not be considered for promotion for distinguished professor for at least three years. In cases in which the Distinguished Professor Advisory Committee makes a positive recommendation, it will forward the dossier and letter evaluating the case to the Executive Vice President for Academic Affairs and Provost for her/his recommendation. The Executive Vice President for Academic Affairs and Provost will forward the dossier to the President for her/his evaluation and letter. When the President has completed her/his letter, the dossier will be submitted to the SUNY Provost. A Distinguished Teaching Professor Selection Committee shall be appointed by the chair of the Faculty Senate with the concurrence of the President. Appointments will be made by September 15 for a term of one year. The committee shall consist of the chair of the Faculty Senate, who will serve as chair, three senior faculty members who have considerable knowledge of the campus designated by the Faculty Senate Executive Committee, the student representative to the Binghamton University Council, the president of the Graduate Student Organization, the president of the Student Association, and a member designated by the President who will serve ex officio. Each September, the Executive Vice President for Academic Affairs and Provost shall distribute to the campus a call for nominations for promotion to the rank of distinguished teaching professor, the criteria for promotion, and a timetable for completion of nominations. Nominations shall consist of the nominee's curriculum vitae and a letter from the person making the nomination explaining how the nominee meets the criteria for promotion to the rank of distinguished teaching professor. The Executive Vice President for Academic Affairs and Provost shall submit the nomination to the Distinguished Teaching Professor Selection Committee for its review. If a majority agrees that the case should move forward, the chair will notify the Executive Vice President for Academic Affairs and Provost, the dean, the department chair, the department's senior personnel committee, and person making the nomination. In consultation with the department chair, the department's senior personnel committee, and the person making the nomination, the dean will appoint a special IPC to assemble the promotion dossier. The chair of the Distinguished Teaching Professor Selection Committee, the President's designee, and the Executive Vice President for Academic Affairs and Provost's designee will meet with the chair of the special IPC to provide guidance in assembling the dossier. The completed dossier will be forwarded to the dean for her/his review. The dean will complete a letter evaluating the case and forward it, along with the dossier, to the Distinguished Teaching Professor Selection Committee. After reviewing the dossier, the Distinguished Teaching Professor Selection Committee will forward it to the Provost with a positive recommendation, return it to the special IPC with instructions to address questions and/or concerns it may have about the case, or, if it finds the case lacking in merit, reject the case. If the Distinguished Teaching Professor Selection Committee rejects the case, the nominee shall not be considered for promotion to the rank of distinguished teaching professor for at least three years. In cases in which the Distinguished Teaching Professor Selection Committee makes a positive recommendation, it will forward the dossier and a letter evaluating the case to the Executive Vice President for Academic Affairs and Provost for her/his recommendation. A Distinguished Service Professor Selection Committee shall be appointed by the chair of the Faculty Senate with the concurrence of the President. Appointments will be made by September 15 for a term of one year. The committee shall consist of the chair of the Faculty Senate, who will serve as chair, three senior faculty members who have considerable knowledge of the campus designated by the Faculty Senate Executive Committee, and a member designated by the President who will serve ex officio. Each September, the Executive Vice President for Academic Affairs and Provost shall distribute to the campus a call for nominations for promotion to the rank of distinguished service professor, the criteria for promotion, and a timetable for completion of nominations. Nominations shall consist of the nominee's curriculum vitae and a letter from the person making the nomination explaining how the nominee meets the criteria for promotion to the rank of distinguished service professor. The Executive Vice President for Academic Affairs and Provost shall submit the nomination to the Distinguished Service Professor Selection Committee for its review. If a majority agrees that the case should move forward, the chair will notify the Executive Vice President for Academic Affairs and Provost, the dean, the department chair, the department's senior personnel committee, and person making the nomination. In consultation with the department chair, the department's senior personnel committee, and the person making the nomination, the dean will appoint a special IPC to assemble the promotion dossier. The chair of the Distinguished Service Professor Selection Committee, the President's designee, and the Executive Vice President for Academic Affairs and Provost's designee will meet with the chair of the special IPC to provide guidance in assembling the dossier. The completed dossier will be forwarded to the dean for her/his review. The dean will complete a letter evaluating the case and forward it, along with the dossier, to the Distinguished Service Professor Selection Committee. After reviewing the dossier, the Distinguished Service Professor Selection Committee will forward it to the Provost with a positive recommendation, return it to the special IPC with instructions to address questions and/or concerns it may have about the case, or, if it finds the case lacking in merit, reject the case. If the Distinguished Service Professor Selection Committee rejects the case, the nominee shall not be considered for promotion to the rank of distinguished service professor for at least three years. In cases in which the Distinguished Service Professor Selection Committee makes a positive recommendation, it will forward the dossier and a letter evaluating the case to the Executive Vice President for Academic Affairs and Provost for her/his recommendation. A Distinguished Librarian Selection Committee shall be appointed by the chair of the Faculty Senate with the concurrence of the President. Appointments will be made by September 15 for a term of one year. The committee shall consist of the chair of the Faculty Senate, who will serve as chair, three senior faculty members who have considerable knowledge of the library designated by the Faculty Senate Executive Committee, and a member designated by the President who will serve ex officio. Each September, the Executive Vice President for Academic Affairs and Provost shall distribute to the campus a call for nominations for promotion to the rank of distinguished librarian, the criteria for promotion, and a timetable for completion of nominations. Nominations shall consist of the nominee's curriculum vitae and a letter from the person making the nomination explaining how the nominee meets the criteria for promotion to the rank of distinguished librarian. The Executive Vice President for Academic Affairs and Provost shall submit the nomination to the Distinguished Librarian Selection Committee for its review. If a majority agrees that the case should move forward, the chair will notify the Executive Vice President for Academic Affairs and Provost, the dean, the senior personnel committee, and person making the nomination. In consultation with the senior personnel committee and the person making the nomination, the dean will appoint a special IPC to assemble the promotion dossier. The chair of the Distinguished Librarian Selection Committee, the President's designee, and the Executive Vice President for Academic Affairs and Provost's designee will meet with the chair of the special IPC to provide guidance in assembling the dossier. The completed dossier will be forwarded to the dean for her/his review. The dean will complete a letter evaluating the case and forward it, along with the dossier, to the Distinguished Librarian Selection Committee. After reviewing the dossier, the Distinguished Librarian Selection Committee will forward it to the Provost with a positive recommendation, return it to the special IPC with instructions to address questions and/or concerns it may have about the case, or, if it finds the case lacking in merit, reject the case. If the Distinguished Librarian Selection Committee rejects the case, the nominee shall not be considered for promotion to the rank of distinguished librarian for at least three years. In cases in which the Distinguished Librarian Selection Committee makes a positive recommendation, it will forward the dossier and a letter evaluating the case to the Executive Vice President for Academic Affairs and Provost for her/his recommendation. Emeritus Status. Members of the University faculty who retire in good standing, in accordance with the provisions of Title B, C, or D of this Article, shall be entitled to append the term "Emeritus" to the title of their academic or administrative post after the time of retirement. Privileges. Emeritus rank shall carry with it such of the following privileges which, in the judgment of the chief administrative officer, are feasible: use of library and study facilities, use of office and laboratory space, eligibility for research grants, and representation of the University in professional groups. (Policies of the Board of Trustees). Since the title "emeritus/a" is a privilege accorded to all faculty retiring in good standing, no special action is necessary to assume that designation. However, the form submitted through channels that indicates the faculty member's retirement in good standing should also show, in the Campus Title section, the emeritus/a title. By this means, the change may be endorsed by all appropriate campus officers. Requests for specific privileges, including private office, library, or research space, from an emeritus/a faculty member should be made to the chair of the department from which the faculty member has retired (or in the case of non-departmentalized units, to the dean or director). Requests, including those for space, library carrels, offices, services (e.g., computer use), and research laboratories, should contain specific information about the type of research or other activity for which services are required. In departmentalized units, the department chair is charged with the responsibility of ascertaining the exact extent of those privileges requested, as well as of assessing their availability to emeriti/ae faculty, and of requesting their authorization from the dean. The dean or director will authorize requested privileges only after consultation with the executive vice president for academic affairs and provost and any others as circumstances warrant. The dean or director will, in turn, inform the department chair (or, in non-departmentalized schools, the emeritus/a faculty member directly) which privileges are to be granted and the explanation of why certain requests will not be honored. Any services granted will continue for periods of no longer than two years. Requests for the continued use of services should be initiated at the close of the authorized period of use in a manner similar to the original request. Appeals from negative decisions may be made by the emeritus/a faculty member to the executive vice president for academic affairs and provost, who will consult with the dean/director (and the department chair in departmentalized units) before responding. Routine privileges, with no time limits established, should be specified at the time of retirement when an emeritus/a faculty ID card is issued. These might include certain library borrowing privileges, a University mailing address, and such other privileges deemed appropriate to all emeriti/ae faculty. Upon the retirement of a faculty member and his/her reversion to emeritus/a standing, the department or school will assume responsibility for any special retirement ceremony honoring that individual. When the Office of Human Resources receives word that an employee is leaving the University, they issue a document to the employee with a summary of the status of their fringe benefits, retirement account, COBRA benefits, final paycheck, etc. If the employee still wishes to meet in person with a representative from Human Resources, the employee should call (607) 777-2187 to schedule an appointment. The Office of the Executive Vice President for Academic Affairs and Provost will conduct exit interviews with faculty who are leaving the University. The usual professional obligation for teaching faculty is for the academic year. The usual professional obligation for library faculty is the calendar year. The academic year obligation covers the dates from approximately the first day of registration in the Fall through the day after Commencement. Faculty receive yearly notification of the exact dates from the executive vice president for academic affairs and provost. During the period of academic year and semester obligations, all members of the faculty except those on Title F leave, sabbatical leave, or leave without pay are expected to be available for such service as may be dictated by their University obligations, departmental assignments, and program responsibilities. Each faculty member must file an Annual Faculty Report. Except in the most unusual of circumstances, neither salary adjustments nor leave requests will be countenanced without a complete sequence of Annual Faculty Reports on file in the Provost's Office. Annual Faculty Reports can be submitted online; for more information, see https://www.binghamton.edu/academics/provost/faculty/index.html. Policies covering jury service are defined in the Agreement between the State of New York and UUP. For more information, see http://www.binghamton.edu/human-resources/leaves/leaves-faculty-professional.html#jury. Other than absences due to illness, all absences from campus during the academic year that affect University obligations, especially while classes are in session, must be fully and appropriately justified, e.g. important professional and scholarly activities. Extended absences that entail missing two or more consecutive classes require prior approval of the dean/director or designee. It is expected that classes canceled for any reason will either be rescheduled or compensated for in some other way. In accordance with the Policies of the Board of Trustees and the Agreement between the State of New York and UUP, faculty are required to maintain monthly attendance records on which they certify their attendance, i.e. their attending to their professional obligations. In addition, they must record any accruals of or charges to sick leave credits. Notice of resignation by faculty members shall be given by May 15. Prior to this deadline, members of the faculty seriously considering accepting a position elsewhere are requested, but not required, to advise their department chairs and deans. The Agreement with UUP requires that faculty who intend to leave the employ of the University must give at least 30 days written notice to the president or the president's designee. Sabbatical leaves may be granted for the reasons and under the conditions described in the Policies of the Board of Trustees. Since extra allocations of funds are not available for leaves, they must be covered by regular unit allocations. In order to be eligible for a sabbatical leave, an academic employee must be tenured and must have completed at least six consecutive years of service within the University. Academic employees who have previously had a sabbatical leave must have completed at least six consecutive years of service with the University from the date of return from their last sabbatical leave. Please refer to the Policies of the Board of Trustees for guidelines in computing consecutive years of service. According to the Policies of the Board of Trustees, "the objective of such leave is to increase an employee's value to the University and thereby improve and enrich its program. Such leave shall not be regarded as a reward for service nor as a vacation or rest period occurring automatically at stated intervals." The policies state that "sabbatical leaves shall be granted for planned travel, study, formal education, research, writing or other experience of professional value." In addition, "the chief administrative officer may approve such sabbatical leave as he or she deems appropriate and such leave shall be reported to the chancellor." The policies also state that each application for sabbatical leave "shall include a statement outlining the program to be followed while on sabbatical leave, indicating any prospective income, stating that the applicant will continue as a member of the professional staff for a minimum of one year upon return and stating that upon return the applicant will submit to the chief administrative officer a detailed report of professional activities and accomplishments while on sabbatical leave." An application for sabbatical leave, including the rationale for the request and the planned activities, as well as any other supporting materials, must be submitted through channels and received by the executive vice president for academic affairs and provost by the second Monday in January (eight months in advance of a fall semester leave request, and 12 months in advance of a spring semester leave request). Applicants must have on file their Annual Faculty Reports for each year since any earlier sabbaticals have been submitted. Application forms are available in the various deans' offices. Faculty should submit the original application to the president through channels. The original is forwarded from the chair to the dean, from the dean to the executive vice president for academic affairs and provost, and from the executive vice president for academic affairs and provost to the president. To receive administrative approval for a sabbatical leave, faculty members must show substantive results from any earlier sabbaticals and must perform at the level expected of tenured faculty, as demonstrated in the Annual Faculty Report. In addition, provision must have been made to meet the faculty member's teaching obligations during the proposed absence from campus. The overriding objective of sabbatical leave must be "to increase an employee's value to the University and thereby improve and enrich its program." Faculty members must provide a specific plan of work with their requests. That plan will involve research that will likely lead to publication. In addition, the plan may lead to enhanced teaching competence and to expanded abilities for public service. Sabbatical leave provides a faculty member the chance to look beyond the campus for professional renewal and contacts with colleagues. When possible, faculty should avail themselves of this opportunity for a change of environment. Should a change occur in the sabbatical work plan or in the expectation of earned income, an addendum to the sabbatical leave request must be made to the president through channels. Within six months of return from sabbatical leave, an original plus three or four copies (see above) of the report required by the policies must be submitted to the president through channels. Sick leave credits do not accrue, nor may they be used, during a sabbatical. Credit toward retirement is based upon percentage of full-time status. Please note that any faculty member who does not return from sabbatical leave for at least one additional year of employment may be expected to remit to the University any salary paid by the University while on leave, or to arrange for a new employer to reimburse the University for such salary. The University encourages faculty to seek fellowships and similar awards that will enhance their credentials and promote their research and scholarship in the belief that such awards reflect favorably upon the institution and its community. The president may grant leaves of absence, also known as Title F Leaves, for purposes of professional development or for other purposes consistent with the needs and interests of State University. The president may approve of such leaves at partial salary -- for full salary applications, the final approval must be given by the Chancellor. This is usually done to support faculty who have obtained fellowships; however, the University is under no commitment to provide any faculty member a leave at partial salary or to make up the difference between salary plus fringe benefits and the amount of the fellowship. In short, no faculty member is entitled to the difference between regular compensation and fellowship income as a matter of right. A faculty member applying for a fellowship or similar award should inform the appropriate dean or director before submission of the application. This will allow sufficient time to discuss possible arrangements with the sponsor regarding the transfer of funds to a University account that will allow for no interruption in salary and benefits. The University will make every effort to ensure that no faculty member who receives a fellowship or similar award is disadvantaged financially in accepting it. Each application should include a detailed statement of the purpose for which the leave is requested, its anticipated duration, and its value to the applicant and the University. Application for leave of absence for Harpur College faculty should be submitted with four (4) copies. The department chair, keeps one and forwards the remaining three, with recommendations, to the dean. This process is repeated with the executive vice president for academic affairs and provost, so that the original arrives on the desk of the president with all endorsements. For units other than Harpur College, an original plus three (3) copies are submitted to the dean or director, who follows the above procedure for forwarding. Once a leave has been approved, the same procedure must be followed to make changes. Sick leave credits do not accrue during a leave of absence. Credit toward retirement is based upon percentage of full-time status. Any faculty member who does not return from a leave with full or partial pay for at least one additional year of employment may be expected to remit to the University any salary paid by the University while on leave, or to arrange for a new employer to reimburse the University for such salary. Faculty who will be on leave and not in residence, and will thus not be available to students, will be expected to make arrangements with their students and their department chairs (or other appropriate office) to fulfill all professional obligations for any semester of service preceding the leave. Faculty who will be on leave must have submitted grades for their students, and must have made arrangements for the return of papers or other student materials in their keeping. In the event it becomes necessary to contact them, faculty members should provide to the appropriate personnel addresses and telephone numbers where they may be reached while on leave. Faculty members may be required to make a statement similar to the following on their leave requests: "I have made arrangements for the disposition of all student-related matters still remaining at the time I begin my leave." Faculty members with September appointments returning from a fall semester leave without salary will be restored to full payroll status in the payroll period that coincides with the resumption of their obligation. They will receive nine regular biweekly checks (January through April) followed by eight (8) checks at half-pay (May through August). These checks will total 50% of a full academic year's salary. The normal September 1 through August 31 payroll cycle will resume following the eight (8) checks at half-pay. Faculty members whose initial appointments begin in January with the spring semester will be subject to the same payroll schedule described above. Questions should be directed to the Office of Human Resources. Teaching is part of Binghamton University's core mission, whether it be in the context of undergraduate or graduate education, mentoring, or any of the other myriad ways that faculty interact with students. Our students challenge us as a faculty to foster a rich and diverse learning environment. To this end, the Faculty Senate endorses the following eight guiding principles of teaching and learning and encourages the individual schools and departments to develop complementary sets of principles and practices that better reflect their specific mission. In accepting these principles the Faculty Senate recognizes that the inventory of effective practices listed above should be dynamic and reflect changes in pedagogy. It therefore authorizes the Faculty Senate Executive Committee to make changes in these lists as the Executive Committee sees appropriate. Based on a similar set of principles developed at the University of British Columbia. The State University of New York operates within a framework of federal and state laws, the enacted Policies of the Board of Trustees, and a number of negotiated collective bargaining agreements. Nothing that follows should be construed as superseding these laws, Policies, and agreements. The Board of Trustees has delegated to faculty within the State University of New York the responsibility "for the conduct of the university's instruction, research and service programs." [Article VI, 3] The aim of this document is to guide faculty, staff and administrators in fulfilling their shared responsibilities for providing high quality undergraduate education. Binghamton University students represent some of the best and brightest in the state. The mission of Binghamton must be to provide the best possible education for all students. This mission of Binghamton University entails both significant scholarship and engaged undergraduate teaching. This mission requires research that advances knowledge through discovery, scholarship, and creative work and using both that knowledge and that process to educate our students. The faculty has a deep and abiding responsibility for the education of our students. The Faculty Senate is responsible for upholding the goals, principles, and standards of the University's academic mission. In times of fiscal constraint and in times of abundance, the University must keep these goals, principles, and standards firmly in mind. To guide the Institution in the making of future decisions, the Faculty Senate endorses the following statement. Liberal Arts Core - preparation for a life of learning, higher order critical and analytical abilities, to enhance the self-development of students so that they will become informed and effective participants in public affairs and in all of their subsequent educational and professional pursuits, the interpretive ability to apply learned skills to subject matter. Acquisition of Skills - academic skills necessary for rational discourse, written and oral communication for all. Skills are normally supplemented by particular kinds of competence - mathematic, linguistic and the like - as required by individual fields of study. Substantive Knowledge - Major study and professional programs to prepare students for future study, professional development, and careers. A. Responsibilities of the faculty for these goals: The faculty as a group bears the primary responsibility and authority for the education of students. The faculty includes the president, the provost, and all faculty members having academic rank (1). Determine the curriculum for all academic units. Design curricula that both reflect the standards of their discipline and are responsive to the academic needs of their students. Set and maintain the academic standards required of the students. Have the ultimate responsibility for the academic evaluation of students. Establish guidelines within departments or schools concerning the quantity and quality of adjunct teaching, while establishing the realms within which adjunct teaching is preferred. Formally train, and regularly supervise, and evaluate undergraduate peer instructors. Faculty will appoint only undergraduate peer instructors who have strong academic records and who demonstrate an outstanding command of the subject that they will help other students learn. Develop educational programs to align the curriculum with societal needs and evolving knowledge. Engage in scholarship, research and other creative activities to contribute to their fields of study, to deepen their understanding of their field, and to bring the creation of new knowledge to the classroom. Be responsible for communicating the curriculum to the students. Good teaching requires faculty to critically reflect on their pedagogy and utilize peer review, student opinion, and other sources to illuminate and challenge their classroom skills. Oversee the progress of their students and certify the awarding of academic degrees. Recruit and hire academic rank faculty gifted in teaching and committed to student learning. Supervise and review departmental or school guidelines concerning adjunct teaching. Develop criteria for the role, selection, supervision, and evaluation of undergraduate peer instructors. Provide resources to promote and facilitate undergraduate participation in faculty research. Ensure that students have access to sufficient classes in order to complete their undergraduate degree requirements in a timely manner (usually four years for entering freshmen). Evaluate teaching excellence in the promotion and tenure process and promote teaching excellence through incentives and meaningful rewards. Provide students with the advising that they need to gain their degrees and allocate resources so that faculty have sufficient time to advise and mentor students. Provide resources for faculty development to support teaching in the form of curriculum development grants, workshops on teaching, travel, sabbatical leave, etc. Support research on, and the assessment of, teaching effectiveness. Provide competitive graduate teaching assistant stipends to improve recruitment of excellent graduate students. Support the professional development, supervision and mentoring of undergraduate and graduate teaching assistants to train the next generation of university teachers. Provide the state of the art facilities that the faculty need to support excellence in teaching and learning (classrooms, laboratories, library and computer resources that contain the appropriate technologies to support classroom teaching). Provide appropriate compensation and support to adjunct faculty for the performance of their responsibilities in support of the departmental or school mission. C. Responsibilities of the graduate teaching assistants for these goals: The primary responsibility of all graduate students is to complete their degree in a timely fashion. As part of their career development they should be called upon to take teaching duties. As scholars in training they need the support of the faculty and the institution to meet their responsibilities. Teach small groups of undergraduates under supervision of faculty. Faculty should provide regular mentoring on teaching skills, general communication skills, and subject matter. Develop teaching skills and qualifications to take on increased responsibilities. The University should provide opportunities for teaching development, including ESL classes, where appropriate, and should reward excellent teaching by TAs. Carry out aspects of teaching specific to small groups with high interaction: stimulate discussion, promote learning by inquiry, and teach oral and written communication skills via individual interaction with students. Become familiar with and use technology appropriate to their teaching role. Give thoughtful feedback and evaluation of students' work, maintaining standards set by supervising faculty. Teaching loads should allow time for TAs to do a quality job of teaching while also developing further teaching skills and pursuing their own studies. Teaching assignments should always be within the scope of the TAs current academic and teaching qualifications. TA's should receive more challenging teaching assignments as their own studies progress. It is not always appropriate for graduate students to be teaching in their first year of graduate studies. These principles provide a road map for the faculty to fulfill their responsibilities and for the University to provide the learning environment in which students can meet the goals of a university education. A. The academic rank faculty (1) has the responsible for and the authority over the design and delivery of the curriculum. Faculty should teach the majority of general education classes taken by each student. Faculty should teach all courses in the major unless specific circumstances make an adjunct with specialized knowledge preferable. Faculty should supervise the content and delivery of courses taught by qualified academic rank faculty (2) (lecturers, adjunct faculty, and graduate students) and should take an active role in helping these individuals deliver a quality curriculum. Faculty should afford regular opportunity for students to discuss course material and other curricular issues, and include this in the design and delivery of the curriculum. Faculty should incorporate current research and creative activity in their discipline in curriculum development and delivery. Similarly, classroom discussion and student research should contribute to faculty members' research. Faculty should be innovative in the delivery of curriculum and retain responsibility and control of the curriculum through out the process of delivery. B. Class size and organization will be determined by the needs of the students and be appropriate to the knowledge, level, intellectual abilities, and skills being taught. Large lecture sections (100+) are appropriate only for lower division, introductory courses. The student-teacher relationship is fundamental to education and students should be given the opportunity to take small classes (<25) with faculty at all levels of their education to develop this relationship. Small classes taught by faculty should make up a majority of a student's upper division required major classes. Larger classes should include subsections that meet in smaller groups to emphasize more individualized instruction. Students should be exposed to a variety of pedagogies (lecture based, collaborative learning, etc.) both to serve the interests of different learning styles and to teach them how to adapt to different learning situations. Skills courses that require a high degree of interaction between the instructor and the student, such as composition, oral communication, and foreign language courses, should be no larger than 25 students in size. C. The University will actively maintain, support, and develop high quality teaching. The faculty will develop means for effectively and objectively evaluating teaching. Faculty are urged to seek regular student evaluations of their courses and teaching. The university will institute a clearly articulated reward system for faculty teaching at all levels. Graduate students will be trained as teachers before entering the classroom and be evaluated and mentored by faculty once they are in the classroom. All instructors, including faculty, TAs, and adjuncts (outside of foreign language courses) must be able to effectively communicate in English. The university must establish standards and provide resources to meet this goal. Evaluation of students should be rigorous, fair and clearly explained to the student. D. The University experience should be structured to meet the needs of the student and to guide the intellectual development of the student building step by step towards the goals of a university education. Students should have the opportunity to enter into a mentor relationship with a faculty member during their education. Students should develop their substantive interests in depth and thus upper-division course work should make up half of the degree. Academic skills must be both explicitly taught and integrated in substantive course work. Major programs should culminate in a capstone course, broadening, deepening and integrating the total experience of the major. Students should be prepared to live in a cosmopolitan world. The University, therefore, should encourage international exchange, study abroad, and languages across the curriculum programs. E. A research university provides students with a unique opportunity for learning based in research, scholarship, and creative activities. Faculty are encouraged to include students in their scholarly and creative endeavors and to seek appropriate grant funding for this purpose. Whenever appropriate, courses at all levels should include research or creative activities. Students should be encouraged to take on honors theses and BFA exhibits. F. A Liberal Education thrives when a sense of community is cultivated. The University should encourage and facilitate faculty-student interaction outside the classroom. Since knowledge is rarely developed in isolation, all departments and schools are encouraged to invite speakers from other universities and to encourage interdisciplinary cooperation. The University should provide facilities for visiting scholars and conferences hosted on campus. The integration of learning and living environments is valuable to student learning. The Faculty Masters program, student interest housing, and the Discovery program are examples of initiatives that should be encouraged and expanded. The University plays an important role in the community, and should encourage volunteerism, community activism, business development, knowledge transfer, and participation in the arts by students, faculty and staff. We are part of a global community. Therefore the University should encourage, support, and provide resources for international faculty and student exchanges. (1) Academic rank faculty are defined in the State University of New York Policies of the Board of Trustees (2001) as those with "titles of professor, associate professor, assistant professor, instructor and assistant instructor", and "members of the professional staff having titles of librarian, associate librarian, senior assistant librarian and assistant librarian". (2) Qualified academic rank faculty, defined in the State University of New York Policies of the Board of Trustees (2001) include those with "titles of lecturer, or titles of academic rank preceded by the designations 'clinical' or 'visiting' or other similar designations". The teaching load is intended to be moderate, and to provide time for fulfilling other obligations such as research, scholarly activity, and professional improvement. 1 undergraduate course and 1 graduate course per semester, with the expectation that there would also be substantial research, professional or service activity, and supervision of dissertations and theses. It is understood that this definition of normal load may be influenced by other considerations, and that there may be considerable variation among disciplines. Nonetheless, the expectation for research, scholarship, and professional and service activity remains across all disciplines, regardless of any variations in normal load. In view of variations among different instructional areas, however, differences in teaching load are often necessary to meet conditions as they arise. Each dean and director is responsible for monitoring faculty assignments relating to teaching, research, and service. This responsibility may be delegated to department chairs or division directors as appropriate, with final oversight residing with the dean/director. The Office of the Executive Vice President for Academic Affairs and Provost will regularly review overall faculty utilization on the basis of summary information provided by the Office of Institutional Research and Assessment. Course cancellations resulting from this policy and exceptions, where appropriate, are made on the basis of advance registration information. Where a case can be made that ultimate enrollment will probably meet minimum levels, a decision on canceling may be delayed until the final registration just prior to the beginning of a semester. To reduce the use of classroom time for non- instructional purposes, it is University policy to keep announcements to a minimum. Visiting subject specialists in pertinent classroom activities of regularly scheduled courses may be invited by the instructor. If in the instructor's judgment there may be public interest in the class visitor, then the instructor should consult with the department chair, dean, or other appropriate official concerning the handling of publicity. Temporary reductions in normal teaching assignments should be determined at the unit level, as is now the custom. When a faculty member's service commitments are extraordinary (e.g., chairing the All-University Personnel Committee, or the Faculty Senate Executive Committee, or serving as Chair of the Faculty Senate), they should be discussed with the individual dean or department chair. Faculty chairing such key University committees may request a release from other non-teaching departmental or University service obligations. Faculty members with an academic year obligation may teach for additional compensation during the Summer and Winter Sessions. The amount of compensation allowed for faculty teaching during the summer is established by the System Administration office in Albany as follows: the maximum amount of compensation for summer and winter instruction is 22.2% of the faculty member's previous year base salary. Summer and Winter Session compensation may not be received in addition to other extra service monies as indicated above. Faculty members who have twelve-month obligations may receive additional compensation for teaching during the Summer and Winter Sessions under the usual rules for extra service. Participation in the academic advising programs of the unit is considered to be a part of the normal duties of each member of the faculty. Dissemination of detailed information concerning the operation of the advising program and the procedure for assignment of specific advising duties is the responsibility of the unit's dean. Participation in assessment, including assessment of General Education and assessment of the unit's graduate and undergraduate programs, is considered to be part of the normal duties of each member of the faculty. Assessment procedures, learning outcomes and detailed information regarding assessment duties are developed by department units with approval by the provost, the Office of Institutional Research and Assessment, and the unit's dean. The Binghamton University Bookstore is contractually obligated to have in stock all in-stock required, recommended, and suggested course materials, including books, access codes, supplies, etc., for all courses and to make them available to students. Students may reasonably expect the Binghamton University Bookstore to have their course materials in stock at the start of the semester. Accordingly, faculty must place book orders with the Binghamton University Bookstore, the campus's primary provider of books, course materials and supplies. The best way to submit information is through the online resource found through the bookstore website, Faculty Enlight, which also serves as a tool to research new materials. Faculty are, of course, free to call or e-mail their orders directly to the bookstore. The Binghamton University Bookstore posts the textbook information for each class on its website. This allows the University to be in compliance with the federal and state Higher Education Opportunity Act (HEOA). The University is required to provide students with accurate course material information, including ISBN and retail pricing, at the soonest possible date so students may see all costs associated with a course at the time of registration. 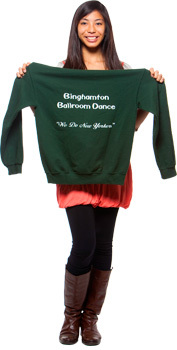 This is accomplished through the partnership with the Binghamton University Bookstore. To keep students' costs low, the Binghamton University Bookstore offers used books, textbook rentals and digital book options. It also currently has a textbook price-match program so students have more cost-saving options. The Center for Learning and Teaching (CLT) promotes teaching excellence and effective use of instructional technologies at Binghamton University through events, consultations, course observations, and customized training programs for instructors. Instructional designers are available to individuals or departments for discipline-specific conversations about teaching strategies, and they provide faculty with resources to help teach effectively and efficiently. The CLT uses its research on teaching best practices to foster improved teaching via pilot programs and collaborations with other SUNY institutions. 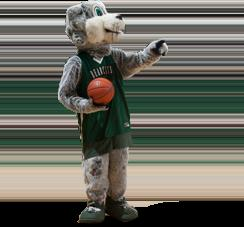 Please visit http://binghamton.edu/clt/ids/index.html for more information. This information is available in the University's policies and procedures and can be accessed by going to http://www.binghamton.edu/operations/policies/personnel-and-payroll/extra-service-compensation.html. Faculty who are performing certain duties that are in addition to their normal obligations may be paid for such services via the extra service mechanism. These extra services may include credit or non- credit instruction. While the exact requirements for eligibility for extra service compensation vary according to the particular situation, under no circumstances may the total remuneration exceed 20 percent of base salary during the academic year, or 1/9 of base salary per month during the summer. Faculty members receiving stipends for administrative duties such as chairing a department are not eligible for extra service compensation for credit or non-credit instructional activities during the terms of their professional obligations. Any administrative stipend paid to a faculty member for program administrative responsibilities is considered to be part of the potential extra service that may be earned. Any additional extra service will normally be approved during the academic year only if the faculty member is carrying a full teaching load. For purposes of calculating the total accrued extra service, one third of the program director's stipend will be attributed to each semester and the summer period (one half to each semester in cases where service is for the academic year only and no summer activity is required). Faculty members may not be paid for giving lectures or other performances on campus outside of regular courses during the academic year, except as part of approved non-credit course instruction with payment made from non-state funds. All credit courses taught in a faculty member's school or program are considered part of the faculty member's teaching obligation. Extra compensation during the academic year for credit instruction offered in a faculty member's own unit may be approved by the dean and the Provost only when such instruction is financed through the Income Fund-Reimbursable process or other non-state funding. With the approvals of the appropriate deans and the provost, faculty members may teach credit courses in other schools at Binghamton during the academic year for extra compensation. Such teaching should be strictly limited and must not detract from the primary obligations of faculty to the home school. Only those faculty members who are teaching at least two regularly scheduled, four-credit courses per semester (not counting independent studies or courses that fail to meet the University's minimum enrollment standards of ten students in an undergraduate course and five in a graduate course), with a total student enrollment equal to at least the average taught by faculty in their units, will normally be considered eligible to undertake credit instruction in other schools for extra compensation during the academic year. Except in rare instances, faculty members may not teach courses at other colleges or universities for extra compensation during the academic year. Approval of the dean/director and the Provost is required for exceptions to this policy. Approval of the President is required for teaching at another SUNY unit. See section IV.D. Extra Service Compensation for Faculty. Faculty members may, with the prior approval of the unit's dean/director, teach non- credit courses for extra compensation during the academic year under certain conditions. The teaching of non-credit courses must not detract from the primary obligations of faculty to the University. Only those faculty members who are teaching at least two regularly scheduled four-credit courses per semester (not counting independent studies or courses that fail to meet the University's minimum enrollment standards of ten students in an undergraduate course and five in a graduate course), with a total student enrollment equal to at least the average taught by faculty in their units, will normally be considered eligible to undertake non-credit instruction for extra compensation during the academic year. See section X.K. Non-Credit Instructional Activities and Administrative Requirements. Faculty members are expected to conduct research and scholarly activity as part of their academic roles and responsibilities. When such activity is supported during the academic year from external sponsored grants or contracts, it is usually the case that the effort devoted to that project is part of that faculty's expected obligation. Normally, faculty members may not receive extra service compensation for sponsored project activities during the academic year. In exceptional cases, when research efforts are demonstrably beyond the normal campus expectation for instruction, research, and service, and the sponsor has approved extra service compensation, a request for special approval of extra service compensation must be submitted to the Provost through the appropriate unit dean/director. Faculty members may receive additional compensation for research during the summer from external grants and contracts. The normal compensation for such research effort will be at a rate of 1/9 of the current year's base salary per month for full- time research, up to the maximum period of time available during the summer period exclusive of the academic year obligation for faculty, provided such compensation does not exceed limitations imposed by the sponsoring agency. Faculty may combine support from multiple sponsors provided the resulting appointments are not in conflict with the policies of any of the individual sponsors. Neither annual leave nor consulting privileges may be used during periods for which summer salary is being received from external sponsored grants or contracts. Questions and requests for further information should be referred to the Office of Sponsored Programs or Sponsored Funds Administration. Faculty members who belong to professional associations and societies or who are invited to serve on scholarly or advisory bodies related to their academic work should participate actively, consistent with their responsibilities and obligations to the University. An activity is considered to be scholarly or professional if: (1) it involves research or scholarship through which the individual may make contributions to knowledge; (2) it gives the individual experience and knowledge of value to teaching or research; and (3) it is appropriate public service. Provisions in the Public Officers Law (https://jcope.ny.gov/laws) may bear upon outside activities by faculty members, who are advised to consult on possible conflicts of interest with the appropriate administrative offices. Faculty members who desire to engage in extensive part-time employment that cannot be considered scholarly or professional must obtain written approval from the appropriate dean before undertaking such employment. Consultation by faculty members with outside organizations can be a source of valuable professional experience as well as being, in some cases, a source of additional income. The University permits such consultation, subject to the conditions in this policy statement. For those on full-time service to the University, the guiding principle is that University duties are the primary obligation of the faculty member, while consultation is a personal activity. Although obligations of faculty members are multi-faceted and often cannot be precisely delimited in numbers of hours, there is considerable pressure on universities and faculty members to provide a reasonable accounting of the professional activities of full-time faculty. Because of the complexity of these obligations and the difficulty in reporting faculty activities, it has generally been accepted that universities place limits as a matter of policy on the amounts of time and effort full-time faculty members may devote to outside consulting. The intent of this policy is to provide faculty members with maximum flexibility to exercise their consulting privilege within established limits. During semesters of full-time service to the University, consulting work for an outside organization is limited to the equivalent of one day per week. Time spent on such consulting must be in addition to, rather than a part of, the normal full-time effort expected of faculty members for University work. In accordance with this policy, a faculty member with a less-than-full-time appointment should prorate outside and University obligations appropriately. If there is any possibility of interference with primary obligations, the faculty member should not engage in the consulting work, or should request a leave of absence or partial reduction in salary. Faculty members must receive prior approval from their deans through their department or program chairs before undertaking outside consulting activity for compensation. When such activity, in the judgment of a dean, may cause interference with the time needed to perform University duties, the dean will not give approval. Full-time faculty members who expect to consult for more than one day in any given week must receive prior approval from their department or program chairs and deans and from the executive vice president for academic affairs and provost. A reasonable amount of "averaging" over the semesters of the academic year is ordinarily acceptable, although particular circumstances such as teaching loads or the terms of support under external grants or contracts will need to be taken into account. Averaging of consulting time from semesters of less-than-full-time service to semesters of full-time service is not permitted. The nature of the consulting work should in no way detract from the prestige of the University or from the professional stature of the faculty member. Consulting obligations undertaken should conform to this objective. The facilities and services of the University shall not be used in connection with compensated outside work. In cases where a faculty member wishes to use the facilities and services of the University in connection with outside consulting activities or with contract research projects not processed through the Research Foundation for the State University of New York, appropriate arrangements to compensate the University must be made in advance with the senior vice provost and chief financial officer and the vice president for operations. To avoid conflicts between the primary obligations of a faculty member to the University and the terms of consulting or other agreements with a third party, the following (or similar) clause must be included in any such agreements: In the event the terms and conditions of this agreement are in conflict with the terms and conditions of employment with the State University of New York at Binghamton, or with those of grants and contracts administered by the Research Foundation for the State University of New York for which I perform service, the latter shall prevail. Faculty should also note that such outside activity may be required to be reported to the New York State Joint Commission on Public Ethics. When necessary to accomplish the goals of externally funded grants and contracts, the Research Foundation for the State University of New York or the University will contract for limited services from outside consultants and independent contractors. The following guidelines and procedures have been established to assist the principal investigator/project director, the department chair, and the dean in determining the need for, selection of, and payment for such services. follows an independent profession, trade, or business, and offers services to the public. Examples of independent contractors include one-time professional lecturers; short-term professional consultants; physicians and lawyers; information technology services, art, web or graphic services, engineering services, or construction of specialized equipment; and other persons or firms in business for themselves to offer services to the public. evidence that the fee is appropriate considering the qualifications of the consultant, charges normally made, and the nature of the services to be provided. Under current SUNY and Research Foundation for the State University of New York policies, SUNY employees who are consultants cannot consult on campus even if such consultation is across departmental lines and in addition to regular duties. "Consulting" generally includes any activity that is not clearly encompassed under the headings of research, credit teaching, or non- credit teaching. Also, the words "on campus" must be defined rather more strictly than may be the case for funds derived from other- than-Research Foundation for the State University of New York grants or contracts. Adherence to existing policy means, in effect, that actual physical location of the activity is irrelevant; if SUNY is paying compensation through the Research Foundation for the State University of New York for the activity to a University employee, the activity effectively takes place "on campus." Exceptions to these restrictions are exceedingly rare, and require approval not only by the Research Foundation for the State University of New York operations manager, vice president for research and/or vice president for operations, but also by SUNY System Administration. For all intents and purposes, full- time faculty or other University employees should not expect payments from Research Foundation for the State University of New York grants or contracts for consulting work. Earlier financial limitations to faculty consultation at other SUNY units no longer apply. Those faculty involved in such consultation should consult with the campus Human Resources Office and the associate vice president for research administration and operations manager for further information. Finally, extra service payments for credit and non-credit instructional activities by full-time faculty and other University employees from Research Foundation for the State University of New York grants or contracts must be discussed with the Office of the Executive Vice President for Academic Affairs and Provost and the campus Research Foundation for the State University of New York. All payments for such services authorized under these policies and procedures are made directly to the individual, firm, or research institution providing the services and not to a third party, except in the case of joint employment with other state agencies, in which case the parent agency will be the payee. The fees for services generally separate transportation and subsistence, which are reimbursed on the basis of actual costs. Commitments made without required prior approvals and authorized signatures are not University contracts, and the individual making such arrangements is personally responsible for any charges that may result therefrom. The restrictions in these policies established by Binghamton University apply only to activities for which funds are disbursed through State University, the Research Foundation for the State University of New York, and the Binghamton University Foundation. The intent of this policy is not to restrict opportunity but rather to ensure the highest levels of scholarly and professional service. The secretary of the Faculty Senate notifies faculty members of their election to Faculty Senate committees. Appointees to other ad hoc committees are notified of their appointments by the president or other appropriate officer. Believing that membership in the academic profession carries special responsibilities, we the faculty of the State University of New York at Binghamton adopt the following standards to guide our conduct as teachers and scholars and colleagues, as members of our institution, and as citizens of our community. Faculty, guided by a deep conviction of the worth and dignity of the advancement of knowledge, recognize the special responsibilities placed upon them. Their primary responsibility to their subject is to seek and to state the truth as they see it. To this end they devote their energies to developing and improving their scholarly competencies. They accept the obligation to exercise critical self-discipline and judgment in using, extending, and transmitting knowledge. They practice intellectual honesty. Although they may follow subsidiary interests, these interests must never seriously hamper or compromise their freedom of inquiry. As teachers, faculty encourage the free pursuit of learning in their students. They hold before them the best scholarly standards of their disciplines. They demonstrate respect for the student as an individual, and adhere to their proper roles as intellectual guides and counselors. They make every reasonable effort to foster honest academic conduct. They respect the confidential aspects of the relationship between professor and students. They avoid any exploitation of students for private advantage and acknowledge significant assistance from them. They encourage free discussion, inquiry, and expression. They evaluate and award credit to students solely on the basis of academic performance, not on opinions or conduct in matters unrelated to academic standards. They protect their students' academic freedom. As colleagues, faculty have obligations that derive from common membership in the community of scholars. They respect and defend the free inquiry of their associates. In the exchange of criticism and ideas they show due respect for the opinions of others. They acknowledge their academic debts and strive to be objective in their professional judgment of their colleagues. They accept their share of faculty responsibilities for the governance of their institutions. As members of a diverse academic body, faculty do not discriminate on any basis unrelated to academic performance. They seek always to strike a balance between the need to show sensitivity to the feelings of others and the right of free opinion, speech, and inquiry. They maintain their views without heedlessly offending students and colleagues. As members of their institution, faculty seek above all to be effective teachers and scholars. They observe the stated regulations of the institution, including faculty by-laws, unless such regulations contravene the fundamental principles of academic freedom. They maintain their right to criticize and seek revision of such regulations. They determine the amount and character of the work they perform outside the institution with due regard to their paramount responsibilities within it. When considering the interruption or termination of service, they recognize the effect of their decisions on the programs of the institution and give due notice of their intentions. As members of their community, faculty have the rights and obligations of any citizens. They measure the urgency of these obligations in the light of their responsibilities to their subjects, to their students, to their professions, and to their institutions. When they speak or act as private persons, they avoid creating the impression that they speak or act for their colleges or universities. As citizens engaged in a profession that depends upon freedom for its health and integrity, faculty have a particular obligation to promote conditions of free inquiry and to further public understanding of academic freedom. The faculty recognizes its particular responsibility in the conduct of research. We subscribe to the policy adopted approved by the Faculty Senate with respect to the specification of misconduct in research as fabrication, falsification and plagiarism, deception or other practices which seriously deviate from those that are commonly accepted within the scholarly community for proposing, conducting and reporting research and creative scholarly activity (Policy on Responsible Conduct of Research, 2018, Faculty Senate). Faculty responsibility for the recommendation of sanctions in cases where an inquiry produces solid evidence of misconduct does not exhaust the faculty role in maintaining a responsible professionalism with regard to research and writing. A search for truth cannot justify the exploitation of students or junior collaborators by taking undeserved credit or denying it to others. Collegiality and the sharing of information rather than competitive secrecy should be the ideal of scholarship. Special rules of conduct must be observed in research that uses human or animal subjects, and this faculty subscribes to the procedures for careful monitoring of such research as are spelled out in University regulations. The faculty recognizes that respect for the dignity and worth of individual students, faculty, staff, and the academic community as a whole is essential to the mission of our University. Sexual harassment subverts this mission, is unlawful, and cannot be tolerated. Such conduct has the purpose or effect of substantially interfering with an individual's work performance or creating an intimidating, hostile, or offensive working environment. The University regards any form of sexual harassment as a violation of the standards of conduct required of all persons associated with the institution. Accordingly, those inflicting such behavior on others are subject to the full range of internal institutional disciplinary actions. Because faculty make critical decisions about a student's advancement, inappropriate faculty-student interactions assume exceptional significance. No non-academic or personal ties should be allowed to interfere with the academic integrity of the teacher-student relation. With respect to sexual relations in particular, what might appear to be consensual, even to the parties involved, may not in fact be so. Any instance of sexual relations between a faculty member and any student, undergraduate or graduate, when the faculty member is in a direct supervisory role with that student, shall normally be deemed unprofessional conduct. The Agreement between the State of New York and the UUP provides a four-step grievance procedure for the resolution of disputes "concerning the interpretation, application, or claimed violation of a specific term or provision" of the Agreement. Faculty who have questions about the grievance process should discuss them with their supervisors and with the president of the local chapter of United University Professional Negotiating Unit (UUP). The Agreement between the State of New York and UUP is designed to "provide a prompt, equitable and efficient procedure for the imposition of discipline for just cause." It delineates the authority of the campus president or designee to impose discipline, and the procedures by which an employee can appeal a notice of discipline. These administrative guidelines provide information to administrators about regular procedures for review and decision-making in allegations of instances that may constitute just cause for discipline (including violations of standards of professional conduct) and may be considered under Article 19 of the UUP contract with the State of New York. Although the emphasis remains on resolution at the lowest possible level, departmental and school procedures should be examined periodically for consistency with University-wide procedures. These procedures govern the period before a final determination to take disciplinary action has been made. The intent is to allow for consultation whenever possible within the constraints imposed by the contract, to provide opportunity for the subject of the complaint to respond before a decision is reached to impose discipline, if possible, and to protect all the parties to the complaint. A. Article 19 of the contract with United University Professions governs all discipline of covered employees at the State University of New York at Binghamton. Discipline is the sole responsibility of the president, notwithstanding any decision of the administration to meet informally with the employee and/or seek advice from faculty governance before the point of deciding to serve the employee with a disciplinary notice. B. Article 19 does not restrain the president from seeking advice from others before instituting discipline. Such recommendations as may be given to the president through administrative channels or governance mechanisms are not and cannot be binding, according to the contract. C. In cases where the behavior is such that the administration judges it to be necessary to act immediately to protect individuals or to protect the institution, the president may exercise presidential prerogative under the contract to take appropriate summary action such as suspension, transfer, or issuance of immediate disciplinary notice. Complaints that may lead to discipline may be based on (but may not be limited to) conduct that violates professional standards, the institution's code of ethics, Faculty By-Laws, or other University policies and procedures. Complaints may come from various sources, either internal or external, or may arise through administrative discovery in the course of routine review of documents or participation in an event. Anonymous complaints cannot serve as the basis for review. Complaints must be formally submitted in writing. Complaints may come initially to the president or his/her designee and may originate in any unit of the University. In cases where such complaints originate in administrative offices other than the Office of the President, the complaint shall be forwarded to the president through channels if the party initially receiving the complaint views the matter as serious and meritorious of further review beyond the level at which the complaint was initially received. In all such cases, the president shall be informed immediately of the complaint. In accord with the contractual responsibility for discipline, the president also reserves the right to take up consideration of a matter on which the Faculty Senate has completed its actions. This is a confidential notification that the administration is initiating a review as provided by the administrative guidelines of allegations of just cause for discipline that may include violations of professional standards of conduct. Such notification is for the purpose of alerting the Faculty Senate that a serious matter is pending review. Following such notification, a personal and confidential consultation should take place between the president, the Faculty Senate chairs, and the chair of the Professional Standards Committee in which the particular incident should be discussed. In performing these duties, once notification has been made to the Faculty Senate, the president shall within 30 days refer the complaint to the designated fact-finder to make full inquiry as to the facts and merits of the complaint, with the understanding that so far as possible, this step shall be conducted under full confidentiality to protect the employee, the complainant (if any), and any persons who may be contacted for information. The president has 30 days to determine if the nature of the complaint deserves fact-finding. If the president determines that the nature of the case deserves fact-finding, the president will appoint a senior administrator in Academic Affairs to serve as the fact-finder. It is expected that the fact-finder will inform the subject of the fact-finding about the allegations and that the fact-finding process is commencing. The fact-finder is expected to gather sufficient information to make a confidential report and recommendation to the president or his/her designee. Under normal circumstances the fact-finding will be concluded no later than 120 days after initiation of the complaint. Extensions must be approved by the president. In these matters, the fact-finder may not conduct a hearing since this would constitute hearing without the due process assured by the issuance of a notice of discipline. The president reserves the right to disagree with the report and recommendation of the fact-finder and will: 1) consult with the Faculty Senate chairs and the chair of the Professional Standards Committee before issuing a notice of discipline; and 2) inform the subject of fact-finding of the decision with respect to issuing a notice of discipline. The president (or designee) may consult further regarding the alleged misconduct in any or all of the following ways: a) with the office directly involved (such as the department), b) with the employee, c) with the Professional Standards Committee of the Faculty Senate, and/or d) with such others as the president deems appropriate. It is understood that any such consultation, even when resulting in an appropriate action within the unit involved in the consultation, is advisory to the president and does not preclude disciplinary action under the contract. If, based on the original complaint, fact-finding, and consultation, the president concludes that discipline is the appropriate response, then a notice of discipline shall be issued to the employee. Notices of Discipline will not be released by the University or made public or made available to the constituency by anyone other than the employee disciplined. In addition, if a disciplined employee makes public a notice that contains information that is confidential to another person according to the University bylaws or personnel procedures, that employee shall be held responsible. Administrative policy is to refuse comment on such matters unless the employee has made a prior disclosure. The matters outlined in these guidelines relate to complaints or evidence which may lead to the imposition of disciplinary penalties against an employee under procedures controlled by the Agreement between UUP and the State of New York. They are not intended to influence or affect any action by the Faculty Senate in connection with matters between that body and its constituent members not warranting the imposition of disciplinary penalties. The Faculty Senate has a responsibility to alert the president about complaints concerning any instance that may constitute just cause for discipline. All efforts to establish faculty and/or student exchange programs with institutions abroad should be initiated through the Office of International Education and Global Affairs (IEGA), which provides general coordination for all such programs. All efforts to establish visiting scholar programs, involving faculty and/or students from institutions abroad as well as Binghamton University faculty and students, should be initiated through the Office of International Education and Global Affairs, which will act as general coordinator. No such programs will go into effect until they have received approval through the presidential level and, when appropriate, endorsement by the Office of International Programs in Albany. Heads of academic units in which exchange programs are based will make their recommendations for faculty participation in those programs to the executive vice provost for international initiatives and chief global officer, who will gather all appropriate documentation and will solicit the endorsement of the appropriate dean. That endorsement is to be submitted to the executive vice provost, and Office of Human Resources procedures are to be followed to affect the release of the faculty member for participation in the exchange. The dean's endorsement and all other appropriate materials will be submitted by the executive vice provost to the Office of the Executive Vice President for Academic Affairs and Provost. Formal appointment of Binghamton University faculty to participate in exchange programs will be made by the president on the recommendation of the executive vice president for academic affairs and provost. Academic units involved in the administration of faculty exchange, student exchange, and visiting scholar programs should keep the executive vice provost for international initiatives and chief global officer informed of all important developments affecting the status of those programs. The University offers international visiting faculty and scholars many opportunities for study and collaboration, and often extends them invitations to work at the campus for varying lengths of time as visiting faculty or scholars. However, such invitations may be made only after having received the department chair's and unit dean's approval. No University office charged with expediting visits by foreign nationals for academic purposes will take any action without all appropriate approvals. Forms for requesting J-1 visa documents for visiting faculty and scholars may be obtained from the Office of International Student and Scholar Services. Any questions regarding a planned visit by an international scholar should be referred to ISSS. The University will extend tax treaty benefits to those individuals who may be able to claim exemption from or a reduced rate of withholding on certain types of income (employment compensation, scholarship, fellowship or grant payments). The Human Resources Office will be the point of contact and an international tax treaty specialist will be responsible for all questions regarding potential eligibility for tax treaty benefits. Academic regalia shall be worn on such occasions as the president may direct. Members of the faculty must wear academic dress at Commencement ceremonies. Academic regalia may be obtained by faculty members through the Campus Bookstore. See section IV.L. Commencement. Commencement, held in the spring, is a major annual event that celebrates the academic identity and nature of Binghamton University. Faculty should make every effort to attend Commencement ceremonies. All academic units will be represented, with faculty attending on a rotating basis as determined by the dean. Professional employees are also invited and encouraged to attend Commencement. See also section IV.K. Academic Regalia. Spouses or children of faculty members or other University employees who attend courses at Binghamton University, whether for credit or not-for-credit, must pay the regular tuition fees. It is inappropriate for a student to engage in independent study for credit or to take a course for credit from a spouse or other close relative without the prior approval of the department chair and/or the dean of the school. No University housing is available for faculty members.